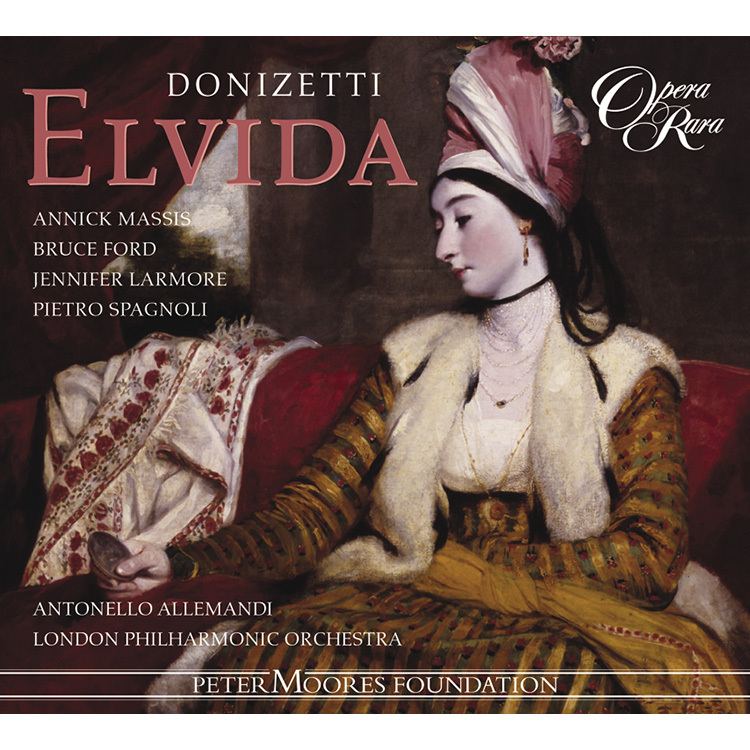 This opera contains so much wonderful music, the plot revolving around Elvida (Annick Massis), a Spanish princess captured by Amur (Pietro Spagnoli), the Moorish tribal chieftain. 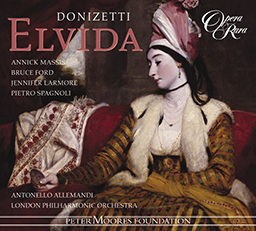 This opera contains so much wonderful music, the plot revolving around Elvida (Annick Massis), a Spanish princess captured by Amur (Pietro Spagnoli), the Moorish tribal chieftain. In the quartet, ‘Deh ti placa, Amur’, Alfonso (Bruce Ford), Elvida’s lover begs Amur to spare Elvida. 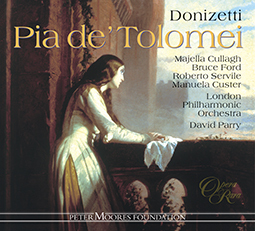 Amur, unsurprisingly, concedes defeat in what is one of Donizetti’s most ravishing ensembles.On the first night of this extraordinary birthday surprise, the soprano, Enrichetta Meric-Lalande, and the tenor, Giovanni Battista Rubini, two of the greatest stars of the 19th century, stepped down to the footlights to deliver a duet written to display their celebrated vocal expertise. 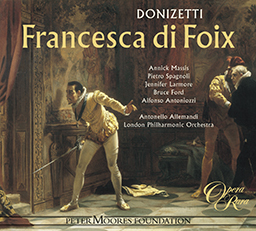 In Opera Rara’s new recording this finale, a set of intricate variations, is dispatched with due aplomb by Annick Massis and Bruce Ford. 05 Elvida: scena II: Recitative: Ed ostinato ancor? 06 Elvida: scena III: Aria: A che mi vuoi? 08 Elvida: scena III: Recitative: Ebben? Elvida, ascolta – scena IV: Il terror tutto inonda – scena V: Trattienti ? 09 Elvida: scena V: Duetto: Se geme a’ tuoi lai ? 11 Elvida: scena VI: Recitative: Misero me ! 18 Elvida: scena XI: Recitative: Padre, che pensi? 19 Elvida: scena XI: Terzetto: Invan, superba invano – scena XII: Stelle! ? 20 Elvida: scena XII: Quartetto: Deh! Ti placa ? 22 Elvida: scena XIII: Recitative: Ti conforta, signor.